Over $70,000 has been raised for the new community park, and Kangaroo playgrounds has been contracted. There should be people on site within four to six weeks. This has been made possibly largely by a $60,000 donation from Invenergy – a company involved with the Mesgi’g Ugju’s’n Wind Farm. “They’ve also committed $15,000 a year, starting in 2018 for the duration of the power purchase agreement,” said Sheila Swasson, one of the organizers of the project. The additional money will be able to go to any community projects that need financial support. To date, over 40 community members have contributed to the project. Momentum built quickly, Swasson said. She remembers one friend donating, and then putting a call out on social media to encourage others. It ended up occupying most of Swasson’s night. The new park will actually be right beside the rink. The plans have already been drawn, but there are still a lot of ideas floating around. The organizers would like to plant trees, find ways to create a sense of ownership with the kids, and acknowledge the people who helped the park possible. One way would be a sign with all the company’s logos. Another would be painting rocks with the names of the community members who donated, and permanently embedding them by getting a masonry to use them to create a border around the park. 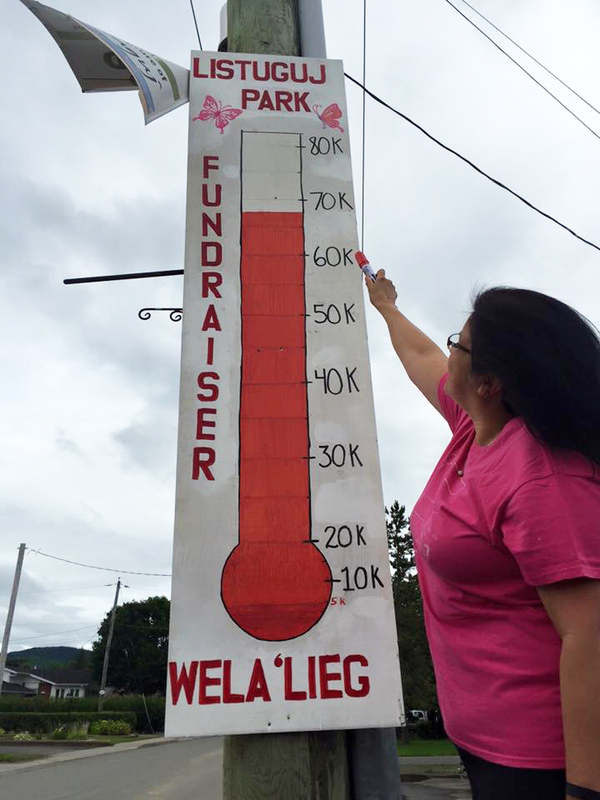 The organizers hope the park will have a variety of impacts on the community – encouraging physical activity, encouraging pride and ownership over the community, and reminding people that anything can be done in Listuguj.